Vote forPerth, WATop Major Destinations Which are Australia's must-visit destinations? You help us decide. Perth is a modern city that’s increasingly growing, pleasantly open and nature-rich and benefits from perhaps the best weather of any Australian capital. Bordered on one side by the scenic waters of the Swan River and an abundance of green Aussie forest and bushland on the other, Perth is a city of contrasts with an excellent standard of living that has quite a different and unique character when directly compared to some of its eastern brothers. Perth blends the big and the small, the old and the new to form a balanced cityscape; tall office towers give way to open streets and wide, green park areas that make the city a pleasure to navigate. Perth has all the hallmarks of a modern and thriving capital, yet without the excessive crowding or pollution that can put a damper on other large cities, and this clean and clear aspect carries over to a lot of what exploring Perth and its surrounds are all about. History, arts, culture and dining – they're all here, and they're all done particularly well. Perth's major hub area of Kings Park sets the stage for the rest of the city, and is a shining example of city planning done right – the wonderful outlook over the city panorama, the well-groomed lawns and the logical layout reflect Perth as a whole. The area around Perth also features a variety of diverse landscapes, and it's this variety that gives those visiting the Perth region access to a range of great beaches, plenty of nightlife, frequent and bustling markets, plentiful greenery and wonderful marine adventures all easily accessible. Regardless of whether you're looking for something laid back or a bit more active, you'll be presented with a range of opportunities to get out and explore what Perth has to offer. Visit the various historic and cultural sites such as the Perth Museum, Art Gallery and Mint, or occupy yourself with any of the number of animal attractions that can be found within an easily reachable distance from the city centre including Perth Zoo and AQWA. Catch a performance at the city's historic His Majesty's Theatre, entertain and educate the kids at Scitech, marvel at the architecture of St. Mary's Cathedral and much more. Looking outside the city limits opens up even further options for unique and entertaining day trips. From the famous wine tasting of the nearby verdant Swan Valley getting out on the water and heading to pristine getaway spot Rottnest Island, each of these have something special to offer whether it be delighting your eyes or your tastebuds. Simply exploring the best that the city itself has to offer provides plenty to keep first-time visitors and locals occupied - Perth is a destination that truly lives up to the cliche of having "something for everyone". Looking to pay a visit to Perth but not sure what to do? Here are some of its most essential experiences. What's new in Perth in 2016/2017? The massive redevelopment of the Elizabeth Quay district has completely revitalised this section of Perth's foreshore. The Bibbulmun Track Northern Terminus and Interpretive trail is now complete, with a successful Opening Ceremony hosted by the City of Kalamunda on the 1st of September. Need more info on Perth? Check out our detailed travel features on this top spot below. With an overwhelming array of activities and attractions for both young and old, Perth has plenty to offer visitors of all ages both within and outside the city. We highlight 10 of the best here. While it's renowned for its sunny weather, Perth isn't exempt from the occasional rainy day. If you're bored during a Perth downpour, check out these top experiences for rainy days here. Perth's a solid year-round destination due to its location and climate, yet there's one time in particular when it truly shines. We outline the best time of year to visit Perth and surrounds here. 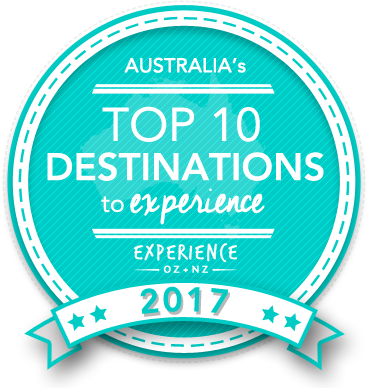 Is Perth Australia's Top Major Destination to Experience for 2017? Vote now for the chance to WIN an epic trip to one of Australia's top destinations!